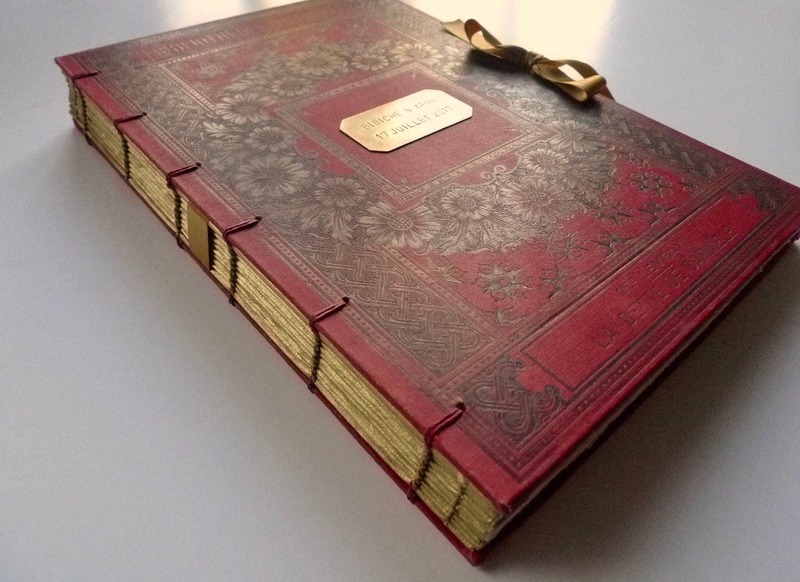 Spellbinderie offers unique scrapbook style guest books and journals made from vintage French books. 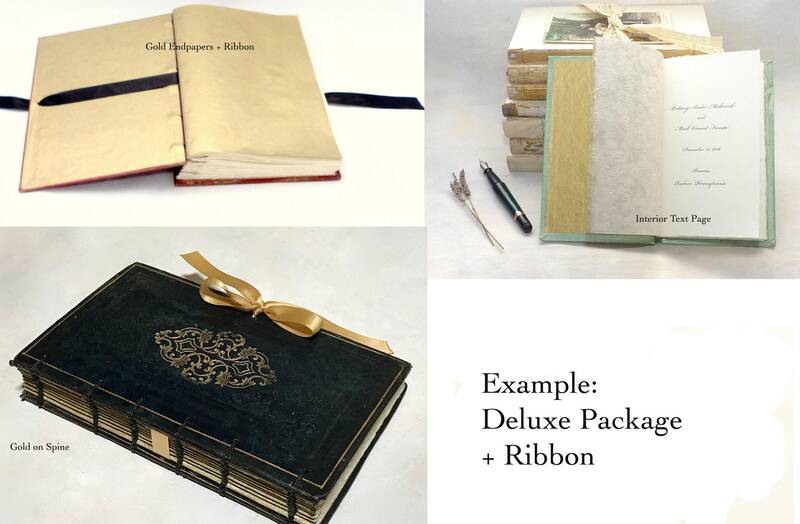 One-of-a-kind, bound to be remembered, perfect for weddings, anniversaries and other once-in-a-lifetime events. 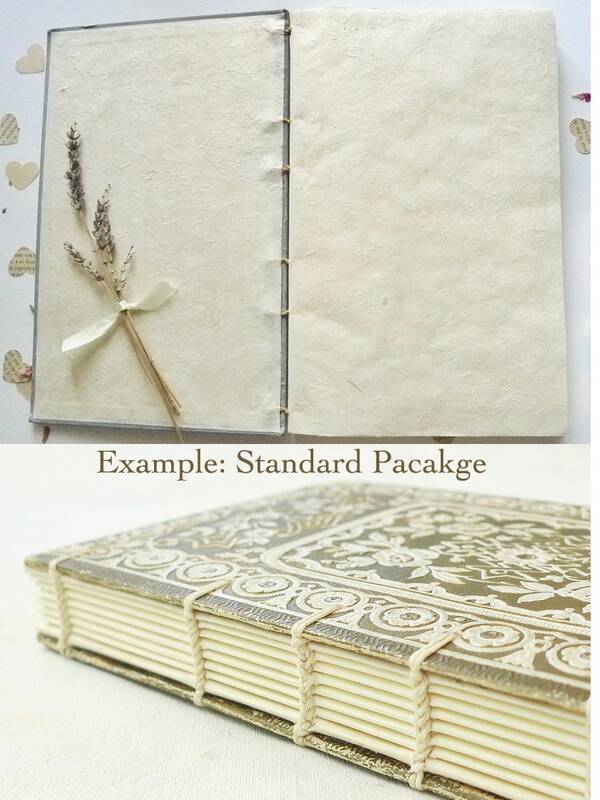 Popular Scrapbook packages listed below. 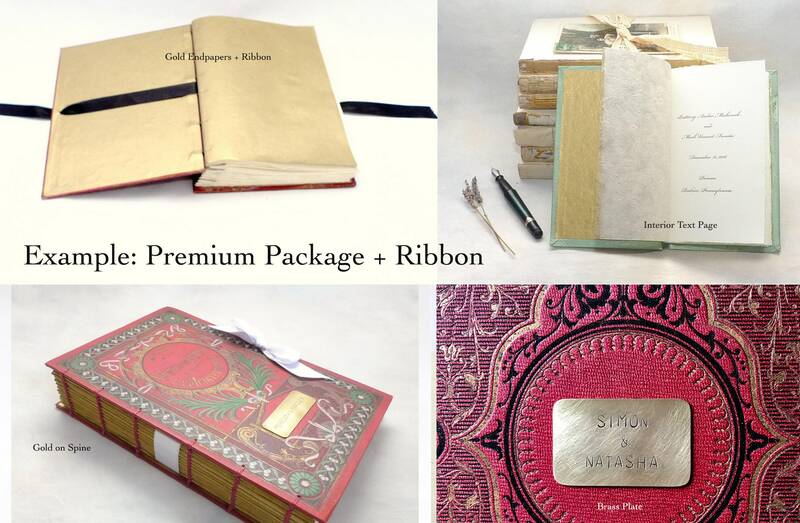 Don't hesitate to ask for a special order with your preferred options if one of these packages doesn't suit you. Scrapbooks are made with spacers to expand the spine so your photos and mementos can be added later without deforming the binding. 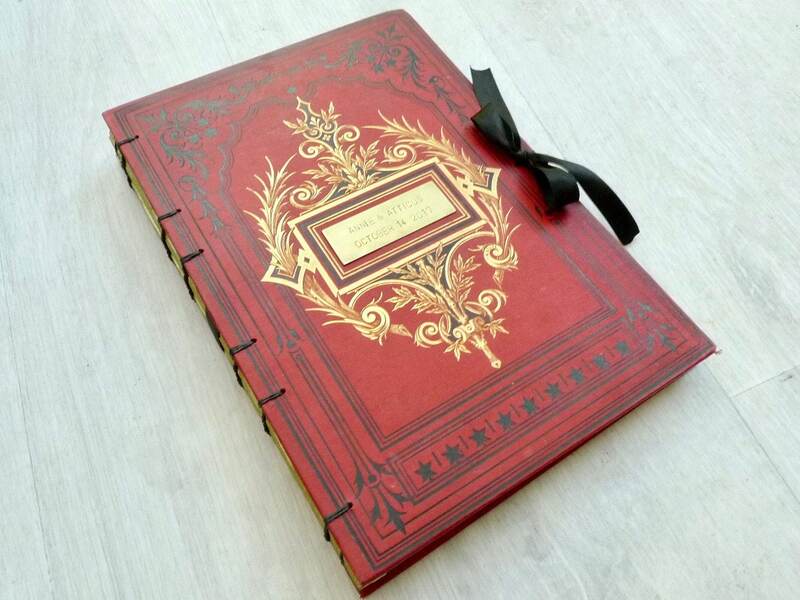 This option is suited for those looking for a photo guestbook to fill with instant photos and signatures. 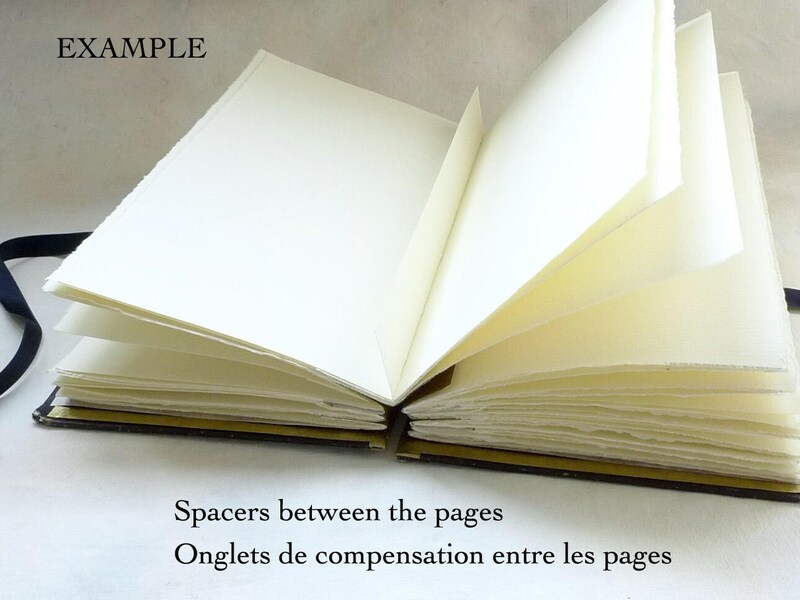 If you just plan to add a few photos to your book, spacers are not required. Contact me to adjust listing and price. 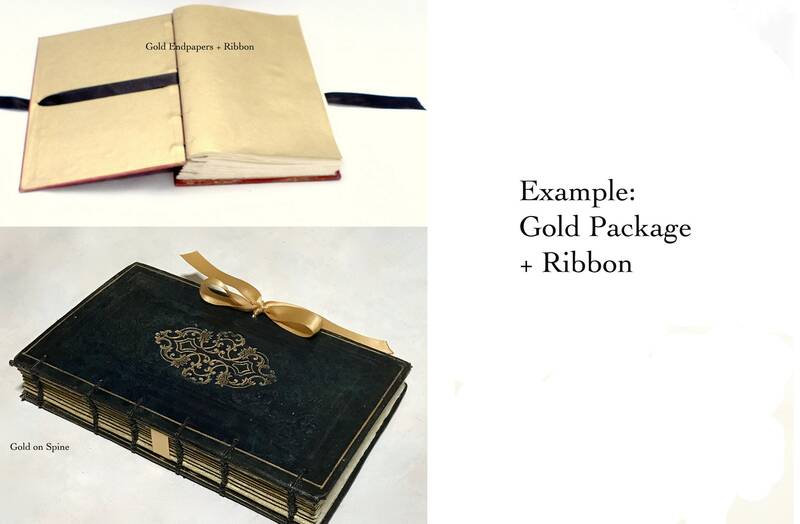 Personalized items are considered custom made and are not returnable/refundable. I ordered 2 books and I must say both are sublime. both are a work of art. Shipping came in early and both came in beautifully wrapped. I could't ask for anything better. Thank you for producing products that exceeds all expectations. I will definitely be ordering again. Thank you! 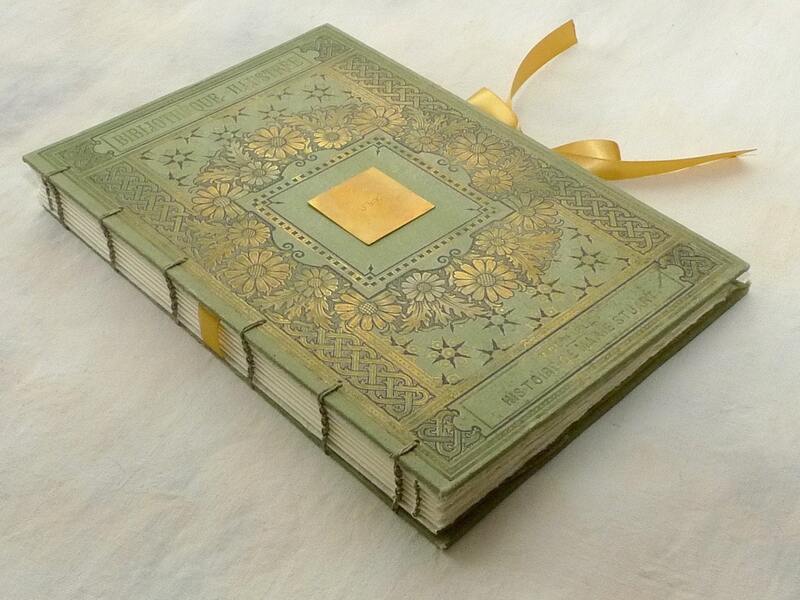 I am so happy I chose Spellbinderie to do my Art and Design book commemorating 30 years of work in the field. 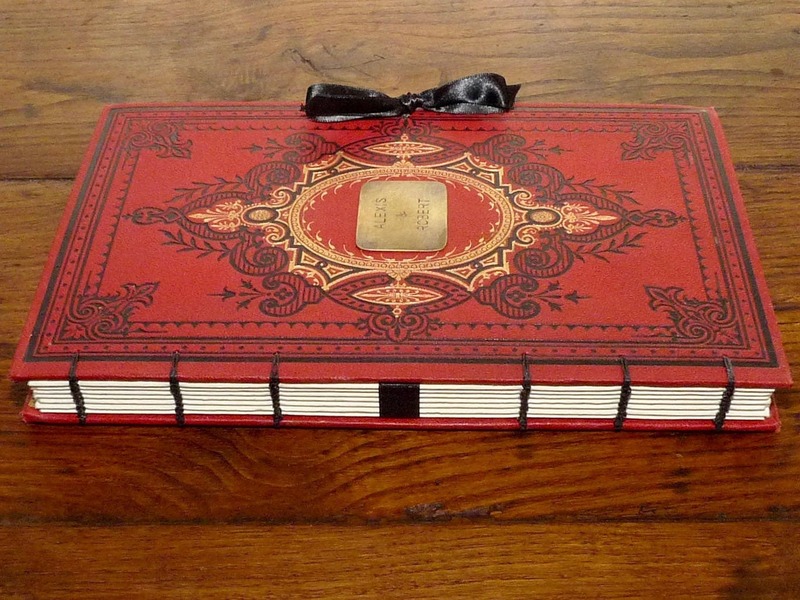 The pictures of the book don't do it justice! The quality of the book is amazing! I highly recommend! I plan to do many more projects. Thank you.